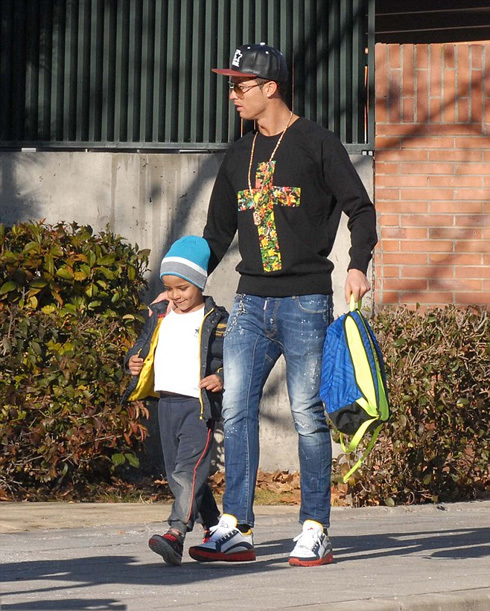 ﻿ Cristiano Ronaldo: "We have to be humble enough to always work hard"
21.01.2015 » Ronaldo: "We have to be humble enough to always work hard"
Cristiano Ronaldo has recently granted an interview to "France Football", in which he speaks a bit about his habits and routines, his rivalry with Lionel Messi and the meaning of his shout during the acceptance speech at the 2014 FIFA Ballon d'Or ceremony. 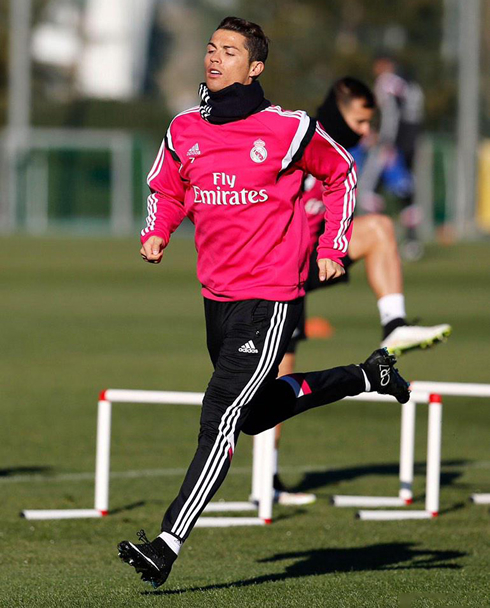 Much has been said and will probably keep being said about Cristiano Ronaldo's superb fitness level at the age of 29. Some have claimed their belief that the Portuguese star will be capable of playing at this level until he's 40, as long, of course, as he doesn't pick up any serious injury in the years ahead. Ronaldo: "If I'm capable of playing more than 60 games per season and do that year after year, that's because I pay a lot of attention to my body and my health. I sleep well, I eat well. I'm very meticulous with these kind of things, otherwise my body wouldn't respond as it should", started by pointing out the Portuguese forward and recent Ballon d'Or winer. Cristiano Ronaldo: "These days, I've been focusing more on trying to improve my left foot, my acceleration and the free-kick shooting. Those are particular areas of my game where I haven't been at my best lately, but I know I can improve them. One simply has to be humble enough to understand that without hard work, we don't go anywhere. 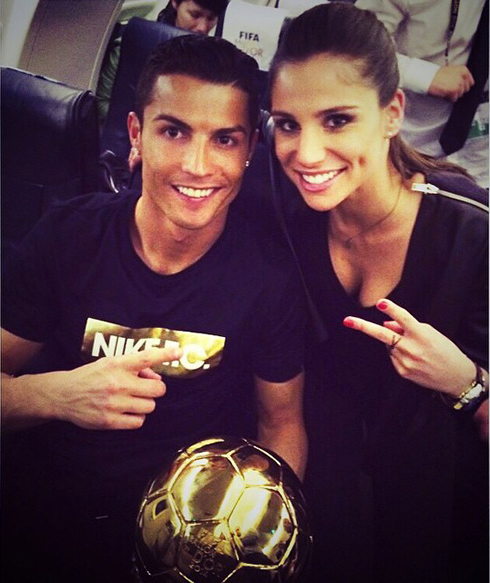 My secret is to always work hard", commented the 29-year old, who recently split from his former girlfriend, Irina Shayk. 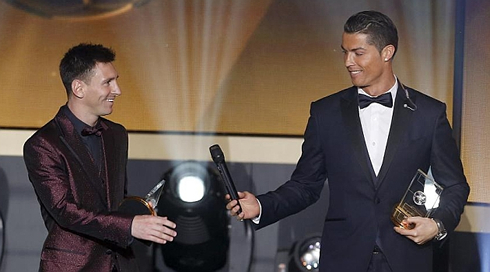 One of the things that really seems to have surprised most of the football fans last week, was to see how well Ronaldo and Messi got along during the last 2014 FIFA Ballon d'Or ceremony. Prior to the gala, both had already made very positive remarks on each other during the protocal interviews and just before the event was about to start, TV cameras caught Ronaldo encouraging his son to go greet the Argentinian and Barcelona star, who is apparently one of his idols. 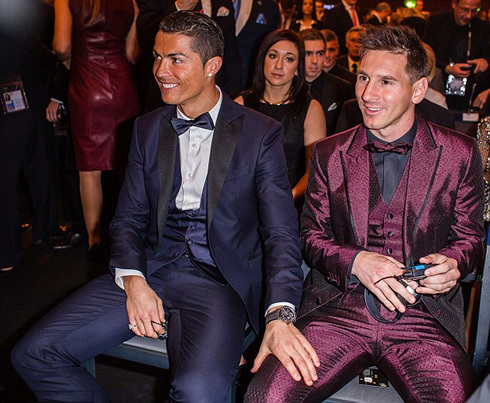 Here's what CR7 has to say about his long-time rivalry with Messi. Ronaldo: "It's probably true that having a player like Messi around, also plays an important part in keeping my motivation levels on top. Having other footballers of this quality competing with us ends up encouraging us to keep getting better and better. All sort of competitiveness is prone to bring an extra motivation factor and I'm sure that this is also something that helps Messi going that extra mile in trying to become the best player in the world. It's good for me, for him and for all those who want to become better players. Messi has 4 Ballon d'Ors and I have 3. In my opinion and in a general way, I believe this is good for football...", stated the former Manchester United winger. One of the highlights of last week's FIFA Ballon d'Or gala, took place right after Ronaldo gave his acceptance speech on stage. The Portuguese striker decided to mark the occasion with a quite unusual shout/scream and the reason behind such behavior was now explained by Ronaldo himself. Cristiano Ronaldo: "That's the shout my teammates and I give in Real Madrid for 3 years now, everytime we celebrate our goals and some of the victories we accomplish. We do it all the time, both in matches and in training sessions. I'm aware that some people may not have understood the real motive for which I've done that, but I believe it has been a nice gesture. That was the way I found to thank my teammates for the award and to make them feel that they've played an important role for me to win it. They've always been by my side, just like I've always been there for them. I feel extremely fortunate because I'm currently in the best dressing room I've ever been at since the beginning of my career", remarked the Portuguese forward. 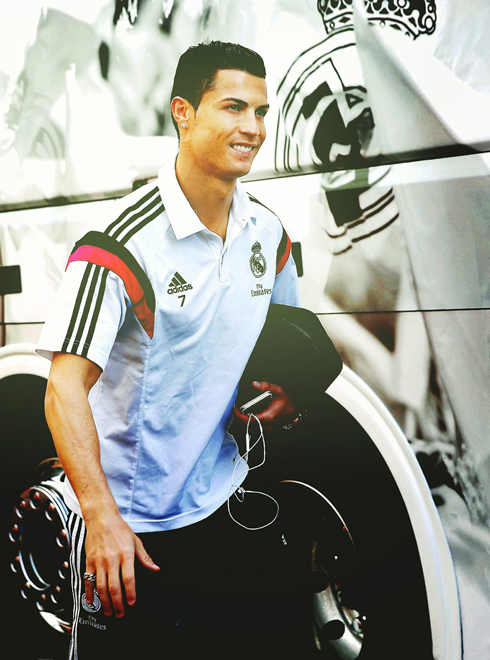 Cristiano Ronaldo next game will be for La Liga against Cordoba, on the 24th of January of 2015. You can watch Juventus live stream, the Cordoba vs Real Madrid, Barcelona vs Atletico Madrid, Cambridge vs Manchester United, Tottenham vs Sheffield, and Blackburn Rovers vs Swansea, all matches provided from our football live stream game pages.